Gospel for Asia, one of the largest missions agencies based in the U.S., was named in a class action lawsuit Monday alleging that it and several affiliates fraudulently solicited hundreds of millions of dollars in charitable donations, and misdirected the money into the personal empire of the organization's leader, K.P. Yohannan. The lawsuit initiated in the United States District Court for the Western District of Arkansas by the Dallas-based Stanley Law Group, comes just four months after the Evangelical Council for Financial Accountability cut ties with the organization last October for violating five of the ECFA's seven core standards. In the 108-page document acquired by The Christian Post on Tuesday, plaintiffs allege that Gospel for Asia, Yohannan, and other GFA officials misrepresented to donors how, when, and where charitable donations would be spent, and funneled vast amounts of the hundreds of millions of dollars the organization has collected into for-profit businesses and an expensive headquarters. Matthew and Jennifer Dickson, who are listed as plaintiffs in the lawsuit, charge defendants with violations of RICO and the Arkansas Deceptive Trade Practices Act, as well as fraud and unjust enrichment. Listed as defendants along with Yohannan are: his wife, Gisela, a member of the Board of Directors of GFA; his son Daniel Punnose, also a member of the Board of Directors of GFA and a vice president; David Carroll, who serves GFA in multiple capacities, including Chief Financial Officer; and Pat Emerick. Emerick, according to the suit, is a United States citizen who resides in Ontario, Canada. 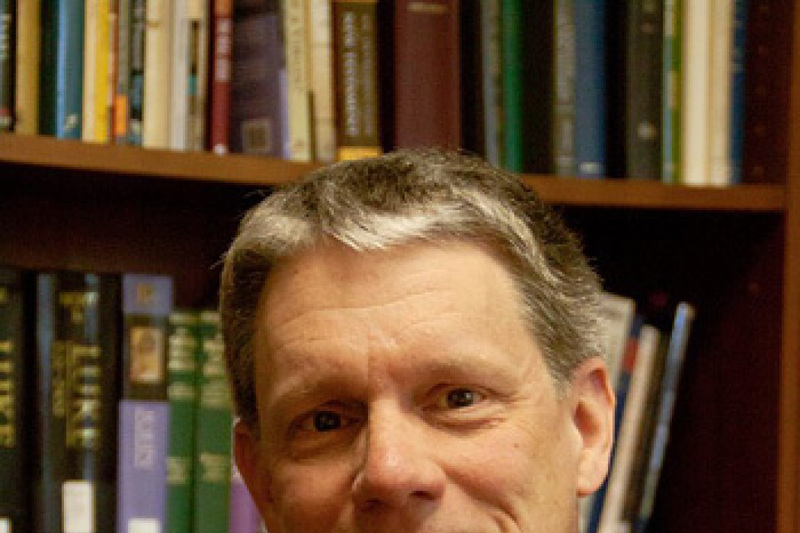 He serves as the director of the Canadian affiliate of GFA. The Christian Post reached out to GFA officials on several occasions Tuesday about the lawsuit and was directed to Taun Cortado, director of GFA's U.S. Broadcast and Media Relations Department. This reporter reached out to Cortado via email about the lawsuit and asked if GFA would like to respond and he replied: "Don't worry – I won't." When asked if his reply should be taken as a general "no comment" he responded: "Oh sorry brother. That was meant for someone else …"
When asked if he would like to respond a third time, Cortado provided no further response. Gospel for Asia according to the lawsuit is a global missionary organization that operates in South Asia, primarily within India. The organization tells potential donors that it supplies the "poorest of the poor" with food, provisions, and a Christian message, but lead attorney Marc R. Stanley said in a statement that GFA has been exploiting the goodwill of Christians. "K.P. 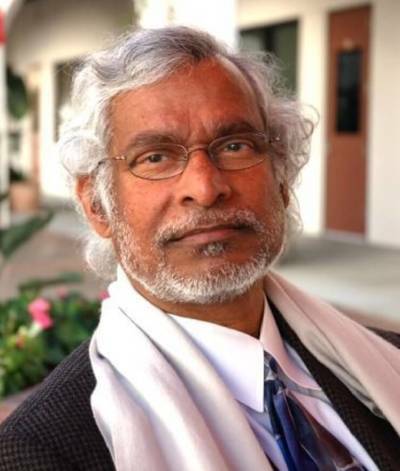 Yohannan and his Gospel for Asia inner circle have been exploiting the goodwill and generosity of devout Christians around the country for years. Gospel for Asia should return all the money it's taken from donors who thought they were contributing to charity," said Stanley. According to the lawsuit: "Between 2007 and 2013, GFA solicited over $450,000,000 in donations from the United States alone, where the majority of GFA's donors reside. Well over one million unique donations are made to GFA each year from tens of thousands of donors who give one time or on a recurring, sponsorship basis. However, despite repeated, explicit guarantees from GFA to donors, only a fraction of the donated money supports the people and causes for which it was donated, as Defendants redirect it for their own purposes." While the organization is recognized as a 501(c)(3) non-profit entity and a "religious order" in the U.S. by the Internal Revenue Service and is therefore not required to publish its financial statements, it enjoys no such exemption in India. As a foreign charity in India, GFA is required to publicly account for all funds it spends in the country, pursuant to the Indian Foreign Contribution Regulation Act of 2010. A financial analysis of the reports submitted to the Indian Government ("FC-6 forms") for Believers Church, Gospel for Asia-India, and the related limited liability companies Last Hour Ministries and Love India Ministries, shows, according to the lawsuit, just how little of the money GFA sends to India is actually spent on the projects and items U.S. donors designated. In 2013, for example, (the most recent year for which audited financial data is available), "GFA worldwide collected around $115,000,000 in donations (more than $90 million from the U.S.), but spent only $14,644,642 on services and relief under GFA's mission to support the poor and needy of India — directly contrary to donor designations and GFA's promises," the lawsuit said. 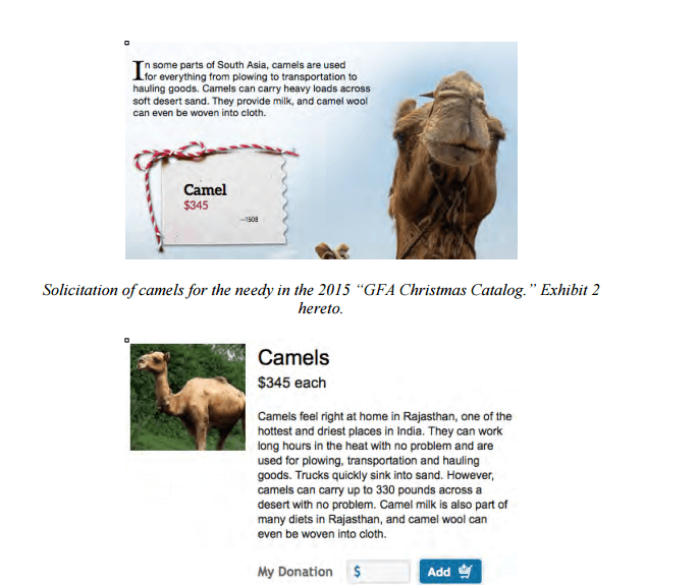 The lawsuit highlights various products and causes marketed to donors such as camels, blankets, motorcycles and "Jesus Wells" to get donors to give money, but the suit argues that little of the money actually goes to the causes, pointing as evidence to "Jesus Wells." "GFA represents that it constructs 'Jesus Wells' to provide clean, potable water to underserved villages in India. In 2012, GFA collected more than $3.5 million in donations designated for Jesus Wells, but spent only $500,000 on that project. In 2013, GFA collected more than $4 million in donations designated for Jesus Wells, but spent only $700,000 on that project. Accepting GFA's representation that it is able to drill a well for only $1,400, in real terms, this discrepancy between donations received and money spent in India means that in 2012 GFA received funding sufficient to establish at least 2,500 wells, but its actual spending in India was sufficient to establish only 350 wells, while in 2013, GFA received funding for at least 2,800 wells, but only spent enough in India for 500 wells," said the lawsuit. The plaintiffs according to the lawsuit, seek to represent: "All persons in the United States who donated money to GFA within the applicable statutes of limitations. Excluded from the Class are Defendants and their subsidiaries and affiliates; all persons who make a timely election to be excluded from the Class; governmental entities; and the Judge to whom this case is assigned and his/her immediate family."